Two Farmers began with the vision of making delicious hand-cooked crisps that celebrate the true flavours of Herefordshire, whilst protecting this wonderful countryside with a 100% compostable bag. We are producers of delicious hand-cooked crisps using potatoes that we grow, harvest, store, cook and pack using renewable energy that we generate on our farm in Herefordshire. Our crisps showcase some of the best flavours that Herefordshire has to offer. Lightly seasoned with Droitwich Salt, which is harvested by hand from natural springs and crystallised using renewable energy. 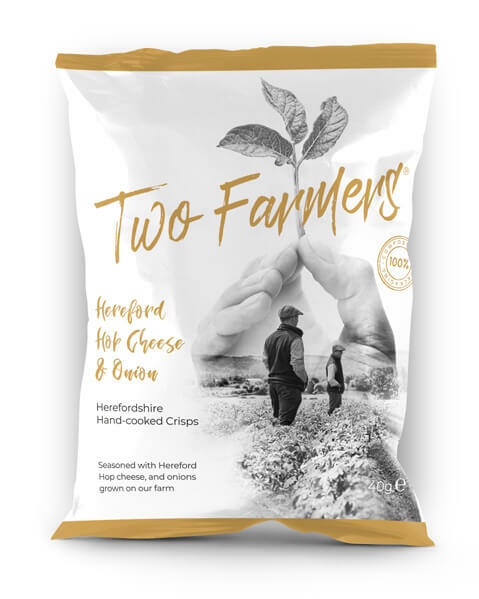 We produce delicious hand-cooked crisps using potatoes grown on our Herefordshire farm. 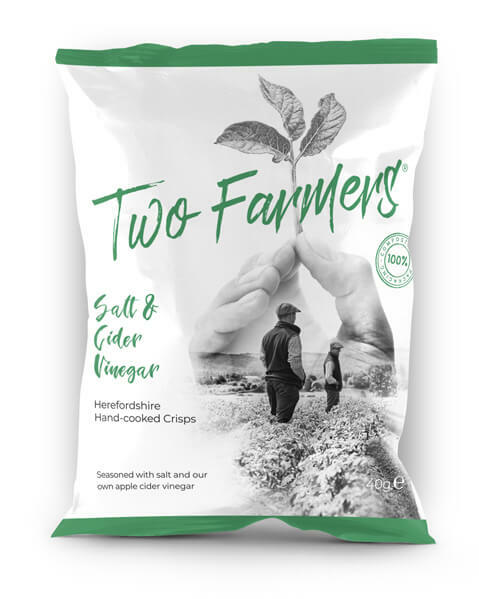 We slice and hand-cook our crisps in small batches before flavouring them with the finest locally sourced ingredients to create a fresh taste and great crunch.